Known for her participation in the World Supermodel Pageant (held in Fiji) and for her London fashion campaigns for MAC cosmetics and Diesel jeans, she also became famous as the champion of the Israeli television version of the Big Brother reality series. Before beginning her modeling career in London, she completed her compulsory military service as a member of the Israel Defense Forces' Logistics Corps. In 2013, she made her singing debut on an Israeli reality talent competition called HaKokhav HaBa (Rising Star). 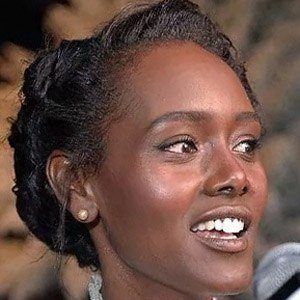 Born in Gondar, Ethiopia, to a Jewish family, she settled in Israel at the age of three. Throughout the early years of her modeling career, she was often compared to Somalian model Iman Abdulmajid.